Drive Medical slings are designed to comfortably and securely support an individual during lift and transfer procedures with a floor-style patient lift. 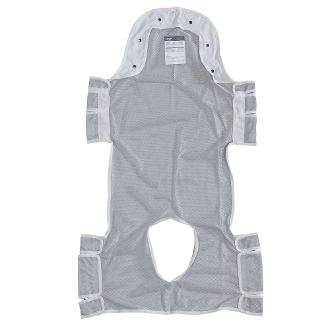 Our slings are made from durable material, which resist deterioration from exposure to moisture and laundering. And a Commode Seat and Back make toileting easier, while head support adds extra comfort.